Hide your children, board up the windows, brace the gates… Black Friday is upon us. While many people would never dream of venturing out into the wild on this day, for the brave few willing to risk life and limb in search of the elusive, holy deal it’s best to go prepared. 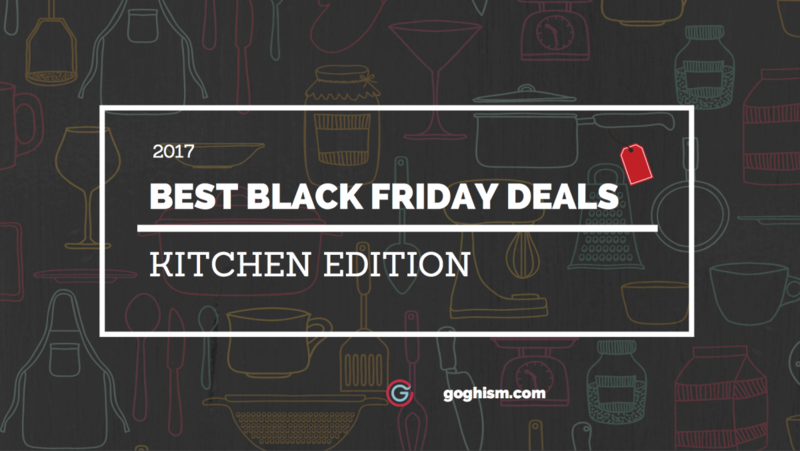 For the more culinary minded folks out there (if you’ve been to Goghism before you most definitely are) I’ve got our favorite Black Friday deals for the kitchen ready for you. All my picks are catered towards helping you enjoy cooking, eating, or sharing Korean food a little bit better. Don’t miss out! We’ll be constantly updating this page as we see new deals pop up, and make sure to think of us throughout the Holidays when you bust out that amazing meal ;). This is one of the best deals you’re going to see for a great pressure cooker. I used a crockpot for a few years, but once I bought this there was no going back. A lot of people are afraid of pressure cookers (with good reason), but with the proper know how and the right automatic features a good pressure cooker can unlock a ton of tough meats and recipes for the time conscious cook. A lot of great Korean recipes use cheap cuts/bones but take forever to cook, so a pressure cooker is a must have for modern day Korean cooking. KitchenAids last forever, $225 might look like a lot for a kitchen appliance, but half price for a great, all-purpose, solid, standby of a beautiful beast is a no-brainer. If you ever want to make your own noodles (kalguksu anyone?) a standing mixer will save you a ton of elbow grease (make sure to get a dough hook). If you need a larger stand mixer for just $55 more, this is a solid upgrade, which you likely won’t find a lower price than this. Having a reliable, durable pan you can trust is a great feeling for any chef, and having one that you can safely throw into the oven to finish off a steak you just seared, or a duck breast is even better. A heavy bottomed, full steel pan and lid open up practically every cooking technique you can think of. You could even set this atop a portable burner and have yourself a little budae jjigae party. This is pretty much a no brainer for your average home cook, a sharper knife is a safer knife. Unless you’re Hattori Hanzo you probably aren’t an expert knife sharpener… let alone want to go through the trouble of getting out your stones every time you’re feeling like you’re losing your edge. 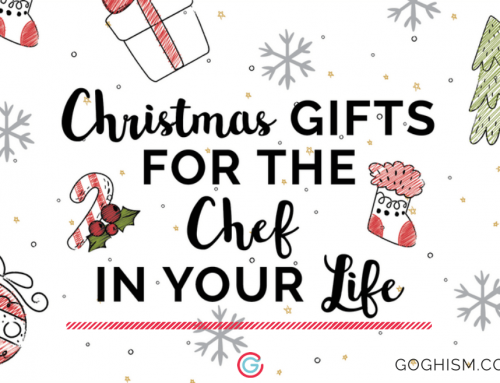 So take advantage of a good deal, sit back, and stress no longer about your knife cutting prowess. These might not be the best knives ever made, but let’s be honest, do you really need to drop $150 plus on a Shun? For $103 this set covers all your knife cutting needs. Pair it with the Chef’s Choice Trizor XV and you’re good to go. The non-slip edges are underrated. It’s also easier to clean and unlike many cutting boards, it won’t warp. Chopping on a wobbly board might seem minor, but it truly does get annoying if you cook often. KitchenAid is standard for a reason, if they’re good enough for a professional kitchen you know that they’ll be there for your every home kitchen need. Whether it’s to mix up your favorite soju cocktail, mince some garlic (throw some sesame seed oil in there), or get that silky, velvety texture on your jjigae you can’t beat that price for a great blender. In my opinion, you can’t beat a great standard blender, but stick blenders are a great alternative for the space conscious home chef while also providing a convenient alternative. While not as versatile or powerful, being able to blend your soups/stews within the pot as its cooking is a great time saver (also not having to clean the pitcher of a blender is a nice consolation prize). Originally, I would have scoffed at the idea of paying $100 for something that your phone could already do (if you’re mainly looking to use this while cooking). But with the reduced price and handsfree ability to set timers, shopping lists, double check recipes, what have you, the Echo opens up a whole new world for your average, busy home cook. Maybe not as versatile or powerful as the Echo 2nd, but at $29.99 the Dot moves dangerously close to costing the same as a cookbook. So you can feel a little less guilty paying for the ability to talk to your timer and recipes. Jinwoo swears by cast iron skillets, and Lodge is definitely one of the most trusted in America. $10.00 for a piece of kitchen equipment that will outlast your grandchildren AND give you that perfect crust on your steak is a steal in any book. I love green onions, and you don’t want to run to the grocery store every time you want to buy a bunch. Given how prevalent it is in Korean cooking it would be much more convenient to buy a few bunches whenever you find yourself in the produce aisle. Problem with green onions, in my experience at least, is that you always end up throwing away a few bunches because they wilted just a little too fast. Buy yourselves a few more days of breathing room with your produce with Rubbermaid’s Produce Savers. With the holidays coming up everyone’s thinking about that Christmas roast, but take a second to think about what comes after. No matter how much your uncle thinks he can put away you’re going to end up with leftovers and bagging everything up in Ziploc doesn’t really scream ‘adult’ anymore. A 60-piece set may seem excessive, but you’ll thank yourself later come Christmas time. We’ve covered Zojirushi a bunch already in our rice cooker post, and we may not have been the most generous to their product line. But the majority of our criticism hinged on how high of a price point Zojirushi had, at practically 1/2 of the original price you can’t beat this deal for an appliance that can handle all your rice needs. With all the holiday chaos about to descend on you and your family it’s a godsend being able to set and forget your rice… you know you’re going to be out right when you need some.